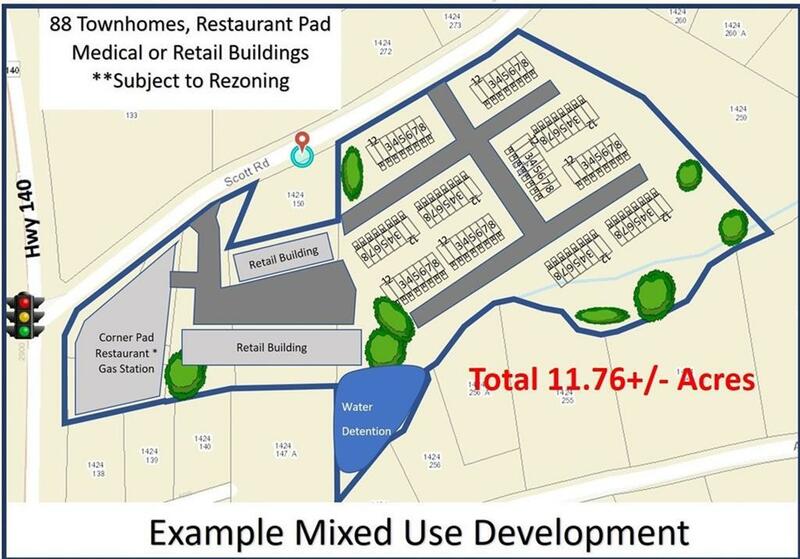 Assemblage of 6 parcels totaling 11.76 acres Potential Commercial at the Intersection of Highway 140 and Scott Road with Stop Light. 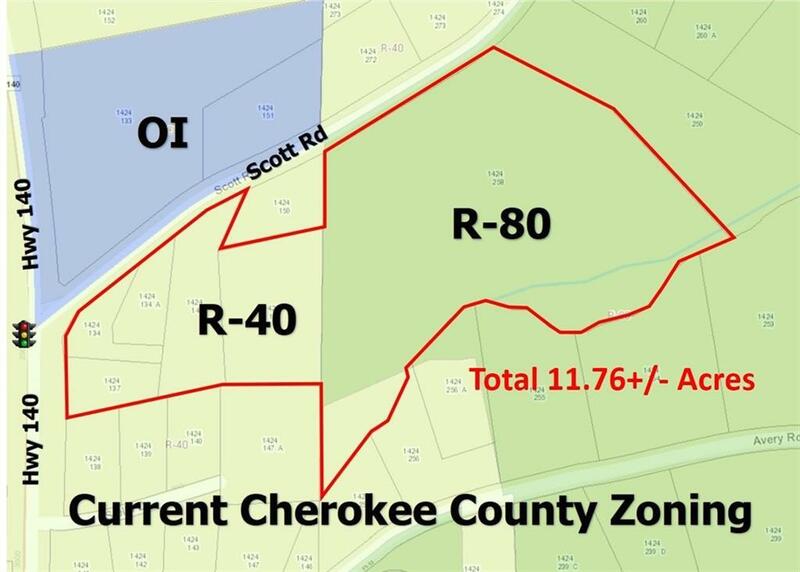 Close to Northside Hospital so ideal for Medical office park. Also great location for restaurant, retail or possible townhome development. 2016 GADOT traffic count: 15K/Day. Excellent visibility. Scott Rd Connects Hwy 140 & Hwy 20. 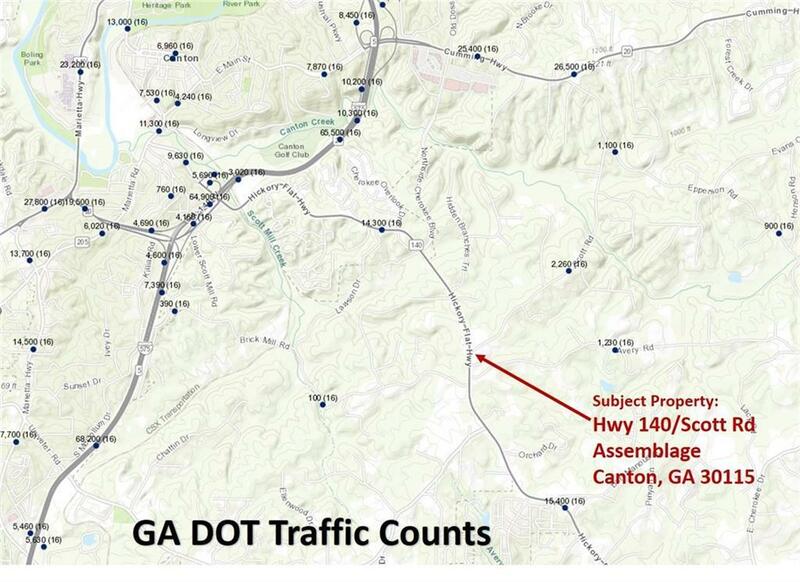 Easy access to I575. All homes on the property are occupied so please do not disturb tenants. 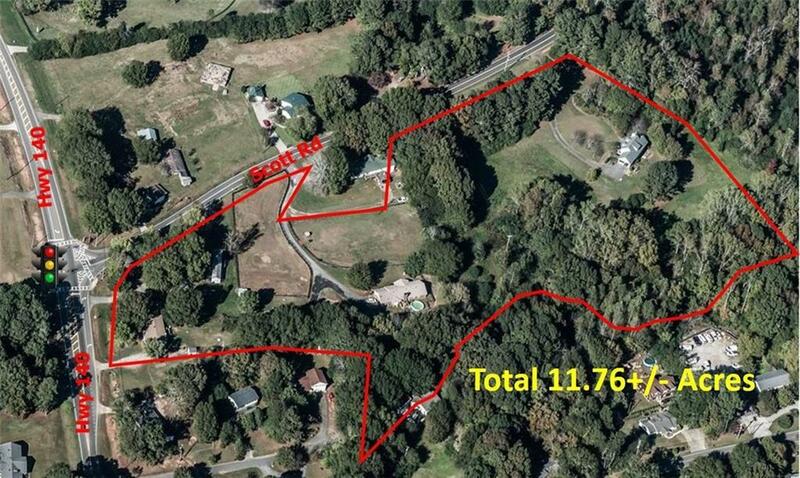 An additional adjoining 4 acres is available for total of 15.72 acres.